As part of her Corporate Social Responsibility (CSR) activities, founder and flag-bearer of Ghana Freedom Party (GFP), Hon. 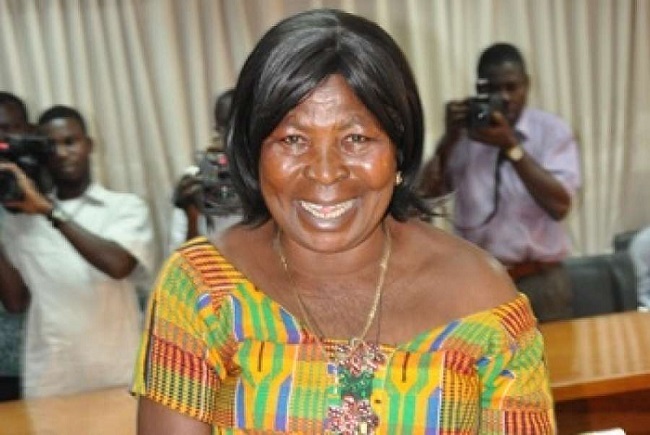 Madam Akua Donkor, has donated 25 sets of television to students of Akropong School for the Blind in the Eastern Region. Her donation comes after students of the aforementioned school threatened school authorities to go on demonstration if they fail to provide them with recreational facilities. In a news report that was aired by Ghana Television (GTV), the students pleaded with the authorities to make sure they provide them with recreational facilities they could use to entertain themselves when feeling bored in the school. According to Madam Akua Donkor, she was touched by their story; therefore decided to donate 25 sets of plasma television and Multi TV decoders to the students. Madam Akua Donkor used the opportunity to assure them of the good things her government would do for them if her party, Ghana Freedom Party, wins the upcoming general elections.